December 1, 2015 Contact Author	James S. Beckman, Jr., M.D. The most successful approach for skin care professionals in managing any skin condition is to develop a basic approach for assessment, diagnosis and then treatment. I encourage all nurses, estheticians and even physicians to develop his/her own rationale for dealing with specific skin conditions. Medically, acne severity is graded according to four categories; the simplest being the presence of only multiple blackheads or whiteheads, and the most severe involving constant pustular lesions and subcutaneous tracts of infected tissue. Ideally, acne is caught early, allowing the practitioner to control it and prevent the occurrence of severe acne and lifetime scarring. Before acne treatment begins, an initial assessment must be conducted to gather the facts and details for that specific client. Keep in mind that age, gender, medical conditions and hormones all play a role in an individual’s acne condition. It is also necessary to understand that those roles and their importance will vary at different times, even in the same client. The initial assessment must systematically look at the symptoms present on the skin and note whether they are constant or intermittent, as is the case with monthly cycle breakouts in women. A thorough look at the skin must then be conducted to determine causal factors. Retention keratosis with follicle plugging due to decreased exfoliation of the skin surface cells. After determining the above factors, the skin care professional should consider what anatomy is involved and whether biochemical, physiological or bacterial aspects require attention. Habit or hygiene factors should also be evaluated and addressed with the client as needed. By observing these factors and noting the presence of oil, bacteria and plugged follicles, the skin care professional can form a treatment plan to control and/or improve them. Once factors are assessed and related to their symptoms, a treatment plan can be developed for successful control. Remember acne is not a disease but a condition that can successfully be controlled. Teen acne usually subsides by young adulthood, so if active pustular infection can be controlled, acne can be minimized and scarring can be avoided. There is no simple formula for treating teen acne, peri-menopausal acne, or related rosacea and milia conditions. Every client with one of these usually has a number of similar factors involved. So when skin professionals look at skin to visualize what is happening with their client’s anatomy and physiology, they develop a treatment plan to control these factors and subsequently solve the problem. Although a number of steps can be taken, the simple steps outlined below can help to reduce the severity of acne and prevent future breakouts. Daily cleansing. Daily cleansing of the skin with a gentle surfactant helps to clean and remove excess sebaceous material from the follicle. This one simple thing can and will prevent 90% of breakouts. Oil-free cosmetics. Many moisturizers and makeup products contain heavy oils, so skin professionals should instruct clients to use only moisturizers having no oil content. Also, mineral powder makeup is oil-free, safe to use and covers red “hot spots” well. Such products are good to recommend to clients, but also should be talc-free, as talc has been shown to clog pores. Exfoliation/peels. Retention keratosis refers to the delayed shedding of epidermal cells that line the follicle surface. It is always present with acne. Since they aren’t exfoliated quickly, these cells then clog the pore similar to how rust clogs a water pipe and needs to be removed. Nearly any chemical exfoliation method will have a positive effect with retention keratosis but Jessner’s peel solution is the treatment of choice. This peel formula, as developed by dermatologist Max Jessner, M.D., includes lactic acid, resorcinol and 14% salicylic acid in an ethanol base. Each of these ingredients is effective at penetrating deeply into the follicle to loosen the plug of waxy sebaceous material and epithelial debris. Skin surface bacteria is always present but causes no harm as long as it is exposed to oxygen. When trapped in the sebaceous follicle, however, where the environment has little oxygen, the bacteria breaks down the sebaceous triglycerides to free fatty acids. These acids cause inflammation, irritation, redness and swelling that lead to squeezing and true pustule formation. If infection with fluid pustules is present, oral antibiotics may be necessary to help provide control and promote healing. Topical antibiotic lotions become ineffective in a matter of days or weeks, as resistant bacteria strains always develop. These products should therefore not be relied upon for every case of acne infection. The best antibiotic for controlling acne infection is oral minocycline, a broad-spectrum tetracycline antibiotic. At 100 mg, it is recommended by doctors twice daily for two weeks. Oral minocycline is the least likely treatment to develop resistant bacteria. In addition to oral antibiotics, topical antimicrobial washes such as surgical scrub soaps can also be effective for treatment. These do not lead to the development of resistant bacteria when used daily. If the infection is chronic, melanin suppression may also be indicated to prevent post-inflammatory hyperpigmentation. In relation, side effects from hormone medications such as birth control or hormone replacement therapy increase sebaceous output. These may be modified to help control sebum production as well. There are even birth control products developed to minimize androgenic (male hormone-like) side effects. These were created to assist in controlling acne. Rosacea has the similar symptoms as traditional acne and should therefore respond well to the methods outlined for controlling acne breakouts. The redness associated with rosacea adds an additional factor, however, and relates to a unique dilation of the small blood vessels in the dermis. More often than not, clients are bothered more by the redness of rosacea than the severity of breakouts. In addition, red colors are difficult to cover with makeup, although mineral powder makeup works well in most cases. Some rosacea sufferers experience continuous redness while others see intermittent redness after certain “triggers.” Most clients know their own triggers and avoid them, but this method cannot always be relied upon, especially if there are any that have not yet been identified. Topical solutions containing oligomeric proanthocyanidins (OPC) from the French maritime pine bark as well as thiotic acid should eliminate the redness within a few days. Although this does not stop the capillary dilation, the redness does not return as long as the solution is used daily. Milia are similar to the plugging phenomenon seen with acne, although they are not necessarily associated with an overproduction of sebaceous oil, and only rarely cause inflammation or infection. These occur when sweat glands become plugged with waxy debris, resulting in a small whitehead. Milia formed on the skin have a thin epithelial layer over them. This layer must be broken or removed to enable the waxy deposit to be extracted by a skin care professional. To do this, magnification is used while opening the epithelial cap with a 21-gauge needle. The waxy plug is then expressed easily using cotton swabs. Approximately one week following extraction of milia, a Jessner’s peel can further eradicate and prevent new milia from forming. By developing a systematic method to evaluate clients’ skin conditions, skin care professionals can formulate effective acne treatment and prevention methods. Finding the contributing factors to the condition and using the proper ingredients to target the acne symptoms will help rid the follicle of excess sebaceous material and prevent lifetime scars. Though acne cases can vary based on different factors, it is important to remember the condition can be treated. Help your clients have the beautiful, healthy, blemish-free skin they desire by determining the best treatment plan for their individual condition. 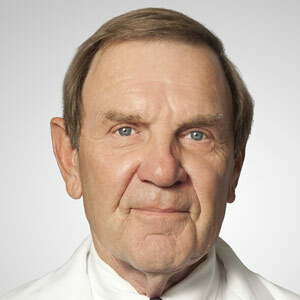 James Beckman, Jr., M.D., is board certified in plastic surgery and has been in private practice for 24 years. He has a degree in chemistry and is the founder and CEO of Therapon, Inc. He welcomes further questions at jbeckman@therapon.com.